11.0-16.0% AA. Grows well in all climates. Good yields, and high tolerance to disease. Magnum is a great bittering hop with an aroma similar to a strong Willamette. It therefore works well with Willamette, Fuggles, and British Kent Goldings. Because its bitterness is so smooth you will find that you can use more of it than many recipes specify. For example, we use two full ounces for a 60 minute boil in IPAs. I had this hop in my last house but forgot to bring some rhizomes with me. They held up well in our hot summers, looked great, and gave a nice flavor to the beer. first time grower, says its disease resistant. From past experience I love the bittering qualities of Magnum. It is suppose to grow in all climates, has a high alpha acid that I tend to use often. 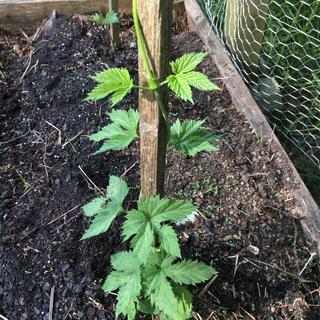 I want to grow hops, for fun, to use in my beer. My first attempt at growing hops and Magnum seemed like a reasonable, and useable, option, to go along with Cascade. I hope it’s good news that these Magnum hops took off like gangbusters! Durham NC 10 days of growth. This is my first attempt at growing my own hops. I didn't do much research other than a few YouTube videos and some online reading. 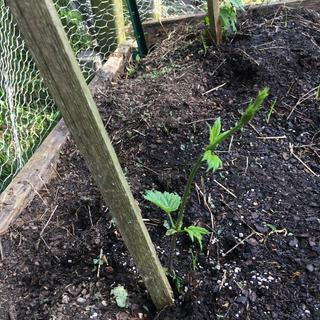 I planted these rhizomes as pairs with the hope that at least on2 would grow. I'm glad to see at least 1 is doing well with watering 1x daily and planted in a "rot prevention" planter containing store bought soil, Miracle-Gro All Purpose Plant Food, and Down To Earth Fish Bone Meal. The rhizomes are under about 1 inch of soil and the temperatures are rather warm (approx mid 80s). 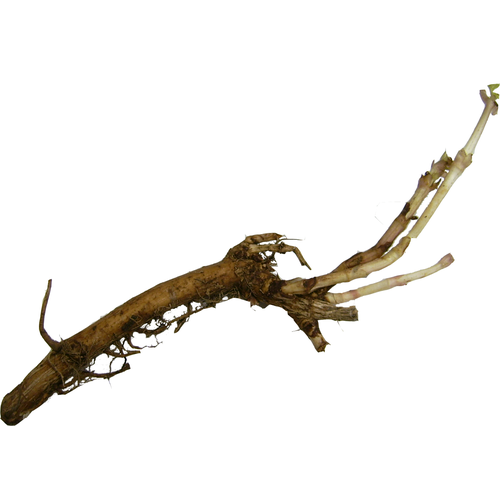 The soil in Durham is clay and does not allow proper drainage for this type of vegetation, so when the rhizome reaches full size, it will require transplantation to a specially made bed with the size and drainage required for healthy growth.